Rising up from the dry landscape are the towering Eastern Sierra, snow-topped mountains that peak at upwards of 14,000 feet. It’s a breathtaking contradiction of landscapes, with much to discover. 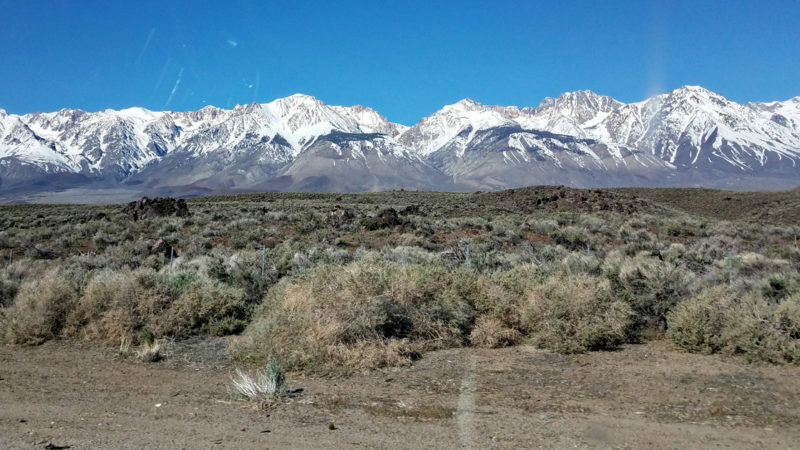 From lakes, canyons, hot springs and pine forests, our Day Trips TravelingMom found the beauty of the Eastern Sierra offered plenty in the way of breathtaking scenery and unique experiences. 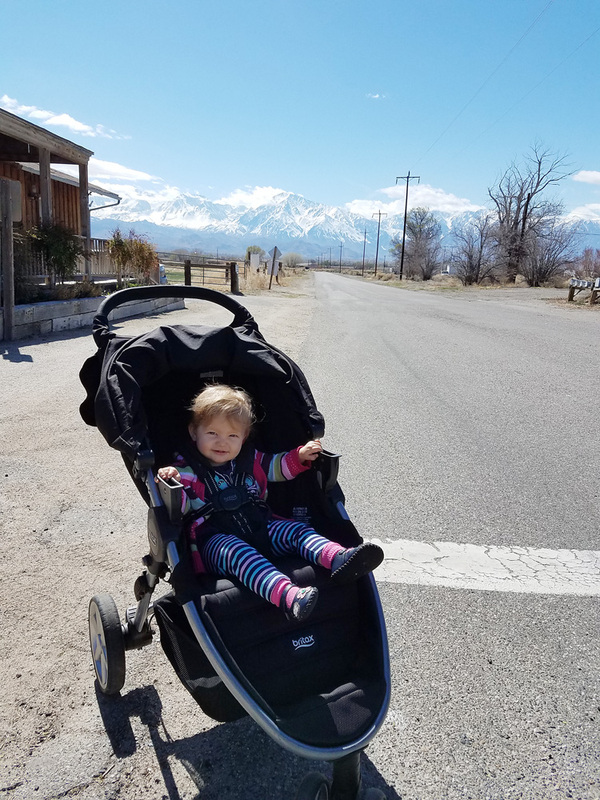 Read on for what activities she and her family found in the towns of Big Pine, Bishop and Lone Pine along US Hwy 395. Follow US Hwy 395 in spring, as my family of 6 did on a recent road trip, and you’ll experience a range of diverse terrain. Starting just outside of Nevada, we drove past quiet snow dusted forests, swiftly moving rivers, the glassy reflection of Mono Lake and Mammoth ski resort. We made an overnight stop in Bishop, with a visit the following day to Lone Pine before driving home. Along the route back to San Diego we saw actual abandoned towns (“ghost towns”). Then there are other towns that made us wonder if anyone actually still lives there as many of the buildings look ready to topple! We were traveling with our four children (a wide range of ages from just-turned-one to 13 years old) and Bishop was the last overnight on week-long road trip that had begun in Monterey. It isn’t always easy to find something that all ages of kids will enjoy, but we found that the Eastern Sierra had some unique and family-friendly activities. Each of the towns (Bishop, Lone Pine, Big Pine and Independence) make for great day trips if you can plan to be in the area for a few days. We stayed at the Travelodge in Bishop which placed us in the middle of several activities. That meanst we weren’t driving more than 20 minutes in any direction. A few other experiences are located in Lone Pine and Independence, so we stopped at those on our drive home. 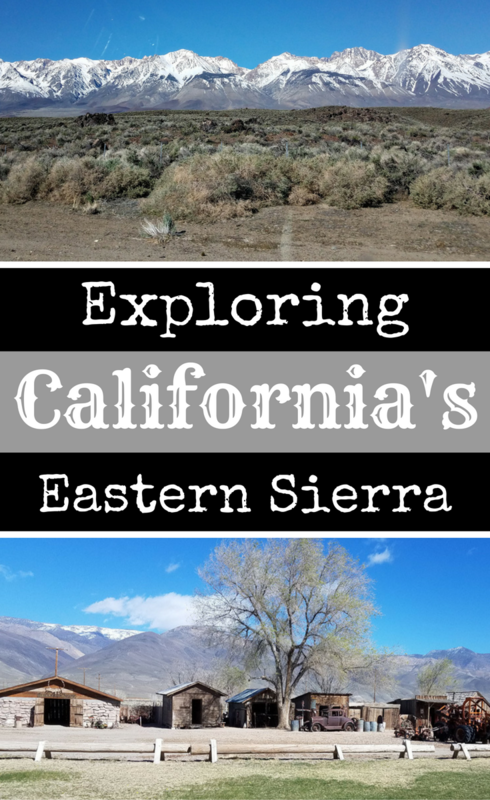 These are the 6 things I would recommend for families traveling the Eastern Sierra. 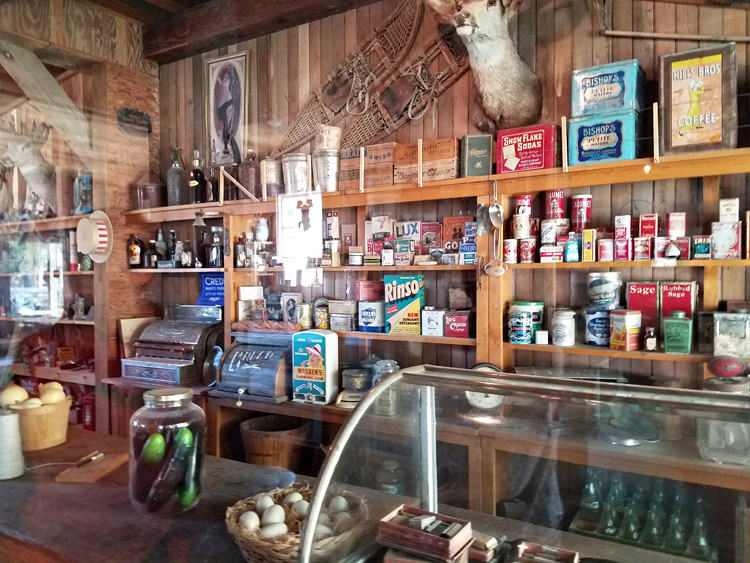 A stop at Laws Historical Village and Railroad Museum should be a must. We had such a delightful visit to this 11-acre exhibit, which is a testimony to the early days of the Owens Valley. The original 1883 Laws Railroad depot still stands, along with its last train, the “Slim Princess.” It’s truly like stepping back in time. Historic buildings, saved from destruction, have been moved and preserved at this site. Each contains artifacts and collections to give you a proper feel of the era. Guests are encouraged to climb about the train cars and take self-guided tours through the buildings that are set up to represent a village. There are barns filled with wagons, vintage automobiles and saddles. Linger in the rooms that represent the doctor or dentist office, complete with original tools and medicines and wonder how it would have been, getting treated for ailments in those days! My kids liked the tiny post office and bath house (complete with tub and long underwear!). I especially liked the restored 1914 ranch house with the rooms decorated as they would have been during that era. Kids especially will enjoy walking through the school house. I’ve always loved seeing how all students would study in one room, with the teacher’s dwellings in the same building. We were able to watch how miners dug for gold and see an actual ore processing mill in action, breaking rocks in the hopes of finding gold. Laws Historical Village is very family friendly and I was able to take the baby in her stroller through most of the buildings (save for a few of the very small and narrow spaces). Give yourself plenty of time to peruse the buildings because there is a lot of see. We arrived about an hour before closing and were sorry that we didn’t have more time to explore. 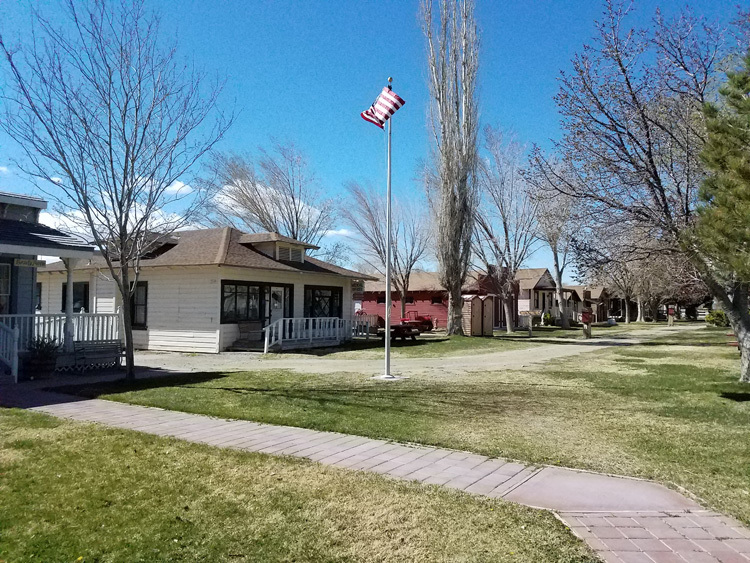 Laws Historical Village and Railroad Museum has free admission and can be found at the east end of Hwy 6, about 4.5 miles north of Bishop. Established in 1919, Keough’s Hot Springs offers the largest natural hot springs pool in the Eastern Sierra. There is a large pool with temperatures around 90 degrees as well as a hot soaking pool, kept around 104 degrees. 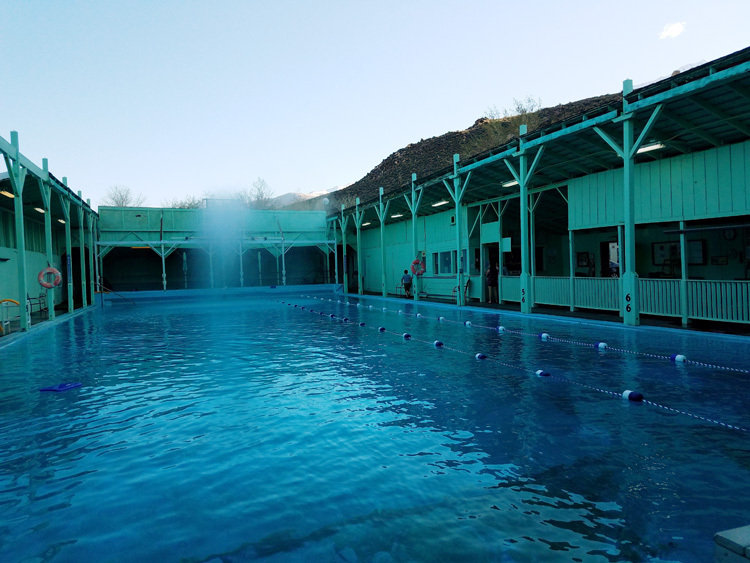 Both pools are free flowing so they have a constant flow of fresh mineral water throughout the day, then drained, cleaned and refilled each week. I’m not much of a swimmer but I will say that a dip at Keough’s Hot Springs was so relaxing! Even the baby enjoyed the warm water. Our visit took place in early spring when the snow was still in the mountains. While the water in the pool was warm, the moment we stepped out and let the chilly air hit our wet skin, we started shivering! TravelingMom Tip: Bring plenty of towels to bundle up in and flip-flops to wear around the pool. There is artificial turf so you won’t slip but it was quite wet and very cold underfoot. Joe at the Bishop Visitor’s Center recommended the Bishop Burger Barn to us as a fun place for dinner, something the kids would enjoy, he said. The Burger Barn is an unassuming place located just in front of a trailer park. They had a bonfire going in front and patrons stood in a long line to order. There is a second story dining room, a loft of sorts, with a few tables and a space heater. The place was packed on our visit, with young hikers who’d just tumbled in off the trails. Once you get past the quirky atmosphere and focus on the food, you’ll see why the Burger Barn is a hot spot. If anything, you’ll learn not to judge a book by its cover. Burgers here are made with your choice of local grass-fed beef or bison, California Angus, turkey or veggie. Buns are baked each morning in-house and toppings are all fresh. Burger Barn makes a high-quality, delicious burger! We also shared two baskets of sweet potato fries between us. I would have liked to try the milk shakes (made from homemade cooked custard ice cream) but we were already pushing the budget for dinner. You’re going to pay more at Burger Barn (our burgers were just under $6 each). But for a higher quality burger than you’d get at a fast food location, I don’t mind paying a bit more. 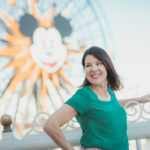 For more than 100 years, Hollywood studios have made the area around Lone Pine their “back lot.” The Sierra Nevada Mountains, Alabama Hills and Death Valley area have subbed as India and China, among others, as the landscape for many famous films and TV shows. 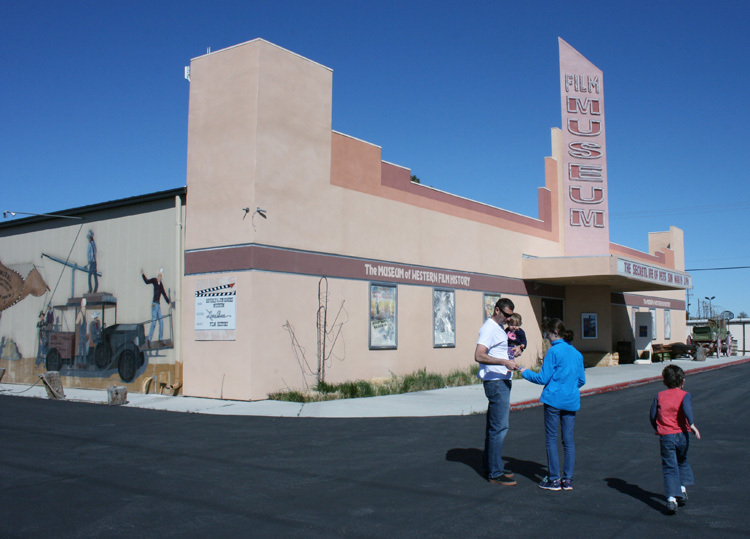 The Museum of Western Film History is preserving this film history in its exceptional museum. It houses an extensive collection of memorabilia. 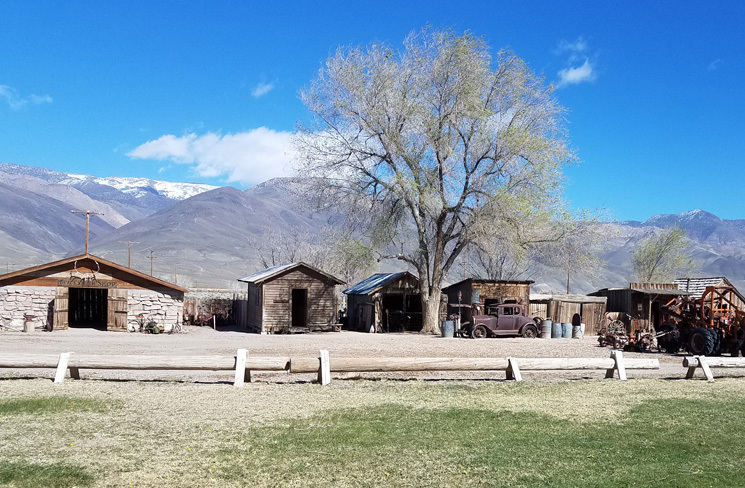 Beginning with 1920s silent films, TV westerns and major Sci-fi and action films, countless scenes have been shot in the Inyo County area. We started our visit in the theater watching the 15-minute short film, “Lone Pine: Where the Real West Becomes the Reel West.” We saw clips from Gunga Din, How the West Was Won, and True Grit. More recent films like Iron Man, Gladiator and Django Unchained were filmed here as well and the museum houses memorabilia from them all. 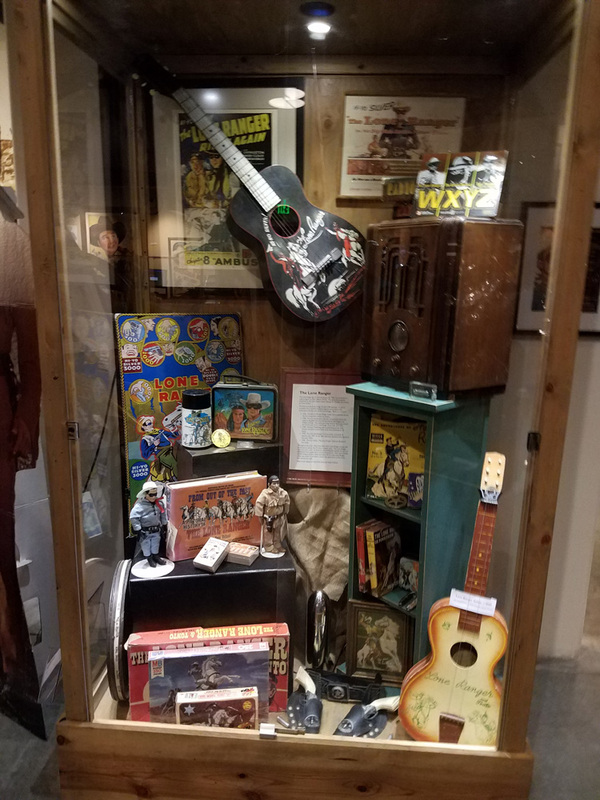 There are an incredible number of exhibits including props, movie posters and costumes from John Wayne, Hopalong Cassidy, Clint Eastwood and Gene Autry. The following day we woke with intentions of doing a few more activities. But my husband and baby daughter had each gotten a cold. With a 6 hour drive home ahead of us, we cut our visit short. If you have the time, these other unique offerings in the Eastern Sierra are worth the stop. In sharp contrast to the ridges of the nearby Sierra Nevada mountains, the Alabama Hills are rounded and smooth. This allows for a more low-impact recreational opportunity, including hiking, horseback riding, mountain biking or just to view wildflowers. There is an easy loop trail of about 1 mile, where visitors can spot the Mobius, Lathe and Heart arches. Pick up a guide map at the Bishop Visitor’s Center that will show which roads and trails to use. These adventures just a road trip away from Los Angeles. What areas would you like to explore in the Eastern Sierra?